Those who love to explore the outdoors no matter how whipping the winds, nor gray the sky are well aware of how to dress when setting off, but if you’re a little less experienced at this whole outdoorsman thing, then right finding the right gear is a great place to start. You’ll need your walking boots, your sunglasses, your backpack, and, for that crucial comfort on your outdoor excursions, you’ll need the best fleece jackets to ensure you don’t run afoul of extreme, sometimes unpredictable weather. These fleece jackets are ideal all year-round and can help protect you from the elements as you ascend higher above sea level. In winter, they make for a perfect under layer to keep you warm, while in the warmer parts of the year, they’ll keep you dry even when it feels like you’ve embarked on a trek across the sun. No hiker – or even just anyone who likes to get outside – should be without a fleece jacket, so lace up your hiking shoes and check out what we’ve got for you. Out of all the products we analyzed, the best choice for the best fleece jackets is undoubtedly The North Face Apex Canyonwall Jacket. It provides a relaxed fit with a hem-cinch cord to offer versatility throughout the seasons and allows you to wear it whenever you need an extra layer or as a single garment during the warmer months. It comes with wind resistance and a permeability rating of less than 10 CFM, which if you’re still an outdoor rookie stands for cubic feet per minute and determines how much wind will pass through the fleece. Your average fleece jacket is rated around 60, and 20 CFM is considered wind resistant, making this option perhaps the most wind resistant product – um – ever. So you can wear it instead of a regular windbreaker jacket. The dual front pockets are zippered and give you somewhere to store your inhaler, wipes and smartphone, and the tricot collar lining keeps your neck warm without rubbing against it and giving you a rash. 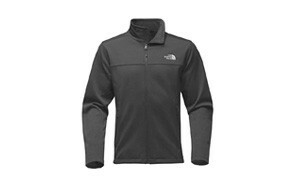 Even though it’s pricey (as you’d expect from The North Face) it justifies such expense with an awesome, versatile fleece jacket perfect for the whole year. Perfect for mountain life, this Arc’teryx Covert Cardigan is a top quality option for those looking for high altitude fleece jackets. Designed with performance in mind, it still maintains a casual design that’s as acceptable to rock when standing on top of the world as it is celebrating your ascent in the bar at the end of a long trek. With it, you’ll get clean lines and a relaxed fit which is tight enough to keep out most wind and other elemental assaults, but also loose enough to give you that essential breathability for a comfortable and cool expedition. This breathability also gives moisture the chance to escape, instead of being trapped between skin and sleeve, preventing sweat from cooling your body down when you need the opposite, especially at high altitudes. Again, it’s expensive, but it’s durability, especially as far as we’re concerned, is a key selling point and should you invest in the Covert Cardigan, you’re likely to never need another one, at least not for 20 years. Make sure you also check our guide to the best winter jackets. 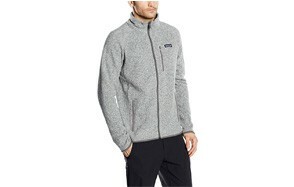 As for the premium choice in the best fleece jackets on the market, the Patagonia Better Sweater Jacket is an excellent option, and that’s not just because we love a memorable (if slightly cheesy) product name. Immediately, we’re drawn to the Bluesign approved polyester, which guarantees a sustainable construction to make you feel better about what you wear. The Raglan sleeves are also perfect for offering mobility and comfort (and if you know the history behind their design are ideal, should you lose an arm on your trip). These sleeves also help contribute to the shape-holding design of this Patagonia jacket, which prevents abrasions and keeps your skin rash-free, particularly on those longer treks. The fabric is heavy, which means it’s not ideal for all seasons, not always, anyway, but it also means you’re protected when the temperature drops lower than you expected. This extra security is crucial for comfortable and safe hikes and gives you an all-in-one solution to tackling unexpected weather changes wherever you are in the world. If you’re looking for a lightweight fleece jacket, then the Marmot Drop Line may be the perfect option for you. Classified as 100-weight sweater fleece construction, it’s one of the lightest jackets we’ve selected, but this doesn’t mean you won’t be able to wear it in colder climates. You can pack it away snugly in the bottom of your bag as an insurance fleece without sacrificing room for supplies or more ‘essential’ gear. The Flatlock stitching is there to provide comfort, preventing friction, while the DriClime technology keeps you dry by wicking moisture away from your chin and face and also prevents the kind-of-gross discomfort you get with sweat sticking to the fabric after taking it off for a quick break. It is ideal to use it as a running jacket as well. It’s perfect for hotter hiking trails, but will also serve as a perfectly acceptable additional layer should you find yourself (unexpectedly) surrounded by ice and frost after taking a wrong turn. It would be a stretch to call it windproof, but you should get on fine in gusty conditions without feeling like you’re not wearing enough. This Mountain Hardwear Monkey Man Fleece Jacket comes complete with Polartec High Loft Fleece, which aside from being a mouthful, helps to keep warm even in the chilliest conditions. Unlike some cheaper options though, this doesn’t add extra, often unnecessary weight, and maintains flexibility for reaching, climbing, and gripping without losing your range of movement. It’ll also keep you cool when needed, too. This is made possible with the strategically zoned side panels, which are stretchy but durable, and wick moisture away from the body to keep you dry. It’s slimmer fit design also allows you to wear a thin base layer without getting overheated. We also love its multi-sport functionality, and you can wear it as an additional layer when hiking, skiing, running, or pretty much whatever sport you love to do. Even if you’re not into sport, it makes for a stylish and practical garment for a plethora of occasions at nearly any time of the year. Our handy guide to the best rain jackets features more great products like this. We know some people like to pack ultralight, though, and this means eliminating some less necessary gear such as hats (depending on where you’re going, of course). In cases like this, you’ll need a hooded fleece jacket to ensure complete protection should the winds pick up, while also giving you the vital extra room in your day pack for the essentials. The Arc’teryx Fortrez Hoody is just the solution to this, providing a reliable jacket with a hood to suit most extreme conditions. Using Polartec Power Stretch Hardface technology, you’re protected from harsh winds, but the air permeable design still allows for fast and efficient drying when you encounter more humid and sweaty locations. This is combined with a breathable design to stop you overheating and keeps you comfortable all day long. Also included is a handy neck gaiter, which doubles as a balaclava to offer further weather protection and perfectly complements the slim fit design to trap warm air against your body for insulation while also preventing cold air getting in and ruining your day. The Outdoor Research Deviator Hoody is a men‘s hooded fleece jacket that comes with flat-seam construction and breathable wicking for quick drying results and ensuring comfort from all-day wear. it’s not too thick and is also especially lightweight, which makes it ideal for packing as a just-in-case item on your trips and won’t take up too much room in your backpack. It doesn’t just need to be a backup garment though. If you live in places where it gets cool but not cold, it’s an excellent everyday jacket to support you without feeling like you’ve over or under prepared. This gives it the versatility you need from fleece jackets and means you can wear it all year-round without being over-encumbered. It’s best feature though is by far the Polartec Alpha insulation, which won the Backpacker magazine Editor’s Choice Awards and, when combined with the PrimaLoft system, helps to protect you from the elements like few others on the market. Available in a variety of colors, it offers something for all hikers, skiers, and climbers and ensures superb protection anytime and anywhere. If you like spending time in the outdoors, make sure you also check our guide to the best field jackets. An awesome option for those who care as much about looking good as they do feeling good, the Arc’teryx Delta Lt Jacket comes with a stand-up collar and zip placket to maintain a sleek and sophisticated design, even after a few too many days in the wild. Its slim-fit and lightweight design make it ideal for layering, but also provides enough support and protection for single wear. It will keep you warm both on the trail and even in the office when someone has taken undemocratic control of the thermostat (you’ll have the last, toasty laugh, though), while the welded zips on the front pockets give you the peace of mind you can keep your valuables safe on arduous excursions. These pockets are long and deep, giving you extra storage space compared to lesser products, while the arm pocket is great for storing your smartphone on a quick jog around the neighborhood. All of this gives you a decent men‘s zip-up fleece which combines quality and durability and is something you expect from Arc’teryx. It may be your first Delta jacket, but we’re not convinced it will be your last. 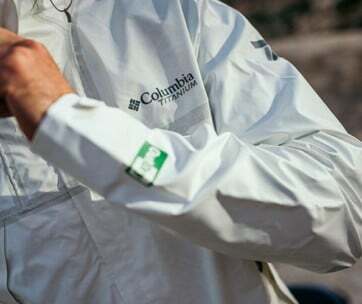 Find more great products like this by checking out our guide to the best Columbia jackets. If you’re looking for a jacket that offers great value, the Columbia Titan Pass 2.0 Fleece Jacket is an awesome, almost no-brainer, option. Aside from boasting the coolest product name on the list (sorry, Better Sweater), it offers excellent functionality and practicality at a price that’s a little more affordable, especially if you’re just getting into being the outdoorsman you were born to be. It’s pretty thick and surely thicker than some options we’ve selected, which means it works excellently as a winter fleece jacket but will also keep you warm as an individual item as we move out of winter and into spring. There’s also a useful drawcord hem to further keep out winds and breeze should you be caught a little unaware of a weather change halfway through the day. The zippered hands and chest pockets keep valuables secure and also act as excellent hand warmers should you lose (or just plain forget) your gloves, while the Polartec Microfleece construction will keep you warm and comfortable either by itself or under your down jacket. Our final pick is The North Face Denali 2 Hoodie which is constructed with recycled fleece and is compatible with a range of complementing The North Face garments to offer unrivaled versatility in your fleece wearing adventures. This makes it a fantastic option from spring to winter and back again and allows you to mix and match with always-awesome results no matter where you hike. The stretch cuffs allow for mobility and comfort and give you the chance to pull a pair of thick glove underneath for better weather protection, and the abrasion-reinforced areas include your shoulders, chest, and forearms to make this hoodie a durable option for a variety of intense activities. At nearly $200, it’s one of the more expensive options, but this price is more than made up for in practicality. It’s lightweight but thick, but perhaps not as windproof as we’d like. We’d recommend wearing it in breeze-free conditions, or at least with an additional jacket for slightly better protection. Be sure to also check out our list of the best Carhartt jackets for more great items like this. Brand - There is a lot of great brands for picking the best fleece jackets, but we only want to find the top of the range. Doing this requires heavy research and means we need to keep a close eye on what brands continue to pop up above all others. Quality - What’s the point in buying a men‘s fleece coat if it doesn’t do what you want it to? Quality is always a huge factor to us when considering any list, and we would never want to recommend something to you that falls below the threshold for quality - and even products skirting around this threshold are often not enough. To make the best selection we can, we look for reliable products which offer much more than what you’d see in your average fleece jacket and which are constructed with high-quality materials you can trust. Reviews - We don’t always get the chance to try out our selection as much as we’d hope, so to counteract this, we rely on the wonders of reviews written by those who have had the chance to test out their fleece jackets in the proper environments. These reviews give us the chance to identify the good and the bad from our perspective choices and whittle them down until we’ve found the kinds of products that are universally accepted as only the best. If there’s a problem with one product, these reviews let us know, and we love that. Price - Fleece jackets are something that everyone can use no matter what they do although we will admit they’re probably more frequently worn by those who love to camp and hike. The great thing about these hobbies is that you don’t need the most awesome and expensive gear for it to be a fun and successful trip. Knowing this, we looked for products that offered a wide range of prices so that our selection could appeal to the experienced fleece wearers and those who may not need the best option on the market. This meant that we could be as inclusive as possible and find something for everyone and every budget. 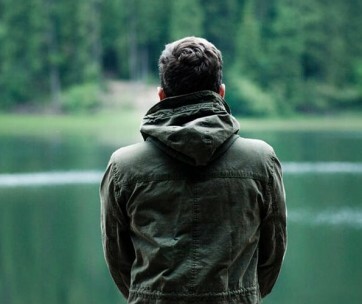 Warmth - Warmth is one of the key things to look for when shopping for a men‘s fleece jacket. All fleece jackets offer a certain level of warmth, so you must think about how warm you’ll need to be on your adventures or when wearing your fleece. The thicker the fleece, the warmer you will be, but you don’t want to get overheated by being too warm. Likewise, you may not need the warmest fleece if you’re planning to wear additional layers on top of below your jacket. Comfort - The best fleece jackets come with special designs to ensure comfort for all-day wear. This includes features such as abrasion and friction-free stitching that prevents rubbing and rashes, which is especially useful with the slim fit and tight designs worn against bare skin. Breathability - Some fleece jackets will have breathable panels which enhance breathability and keep you cool even during more intense activities. Breathable designs ensure you won’t get overheated and suffer premature exhaustion and will keep you going throughout your journey. Layering Ability - Layering is a key part of staying warm no matter what you’re doing and is something that’s recommended to achieve optimum comfort no matter your situation. A thin fleece jacket gives you better layering options over your fleece, but a thick fleece jacket may be better for layering beneath it. Something such as fleece vest is a good in-between option for those who need a little protection from the chill, but not too much. A men‘s fleece vest is also good for hikes or treks in the warm weather and will provide extra pockets of fleece jackets while not restricting your movement as much as full-sleeved fleeces are. Pockets - Everyone loves having extra pockets to store many crucial things like snacks (or your smartphone, which we guess might be more important), so this is definitely an essential thing to consider when shopping for your fleece jacket. There is a variety of pocket options to look at such as front hand pockets (as you’d expect) but also a chest and sleeve pocket for extra storage options. If you want extra security for your devices, invest in pockets with zips so you don’t lose your phone down the side of a cliff face. Style - Fleece jackets aren’t always the most varied in terms of style, but there are some that can help affect how versatile they are. A full zip fleece will be more like a regular jacket whereas one with a simple vest zip is more like a sweater. You can also look for multi-sport styles which cover a wide range of exercise options, and if you want a hooded jacket, you will find something that suits what you need. Weather Resistance - Fleeces are not waterproof, so be sure to bring a waterproof garment to wear over it if you’re going somewhere it’s likely to pour. However, you will find a windproof fleece jacket to keep you protected from wind gusts atop mountains and hills. Long sleeve fleeces will also protect your arms from the sun, and if you want extra head protection, you can invest in a fleece with a hood. Weight - Weight is an often understated factor for buying anything, but it’s always an important feature to consider when buying clothes. Fleece jackets are typically lightweight, but thicker models will weight more than thin ones. 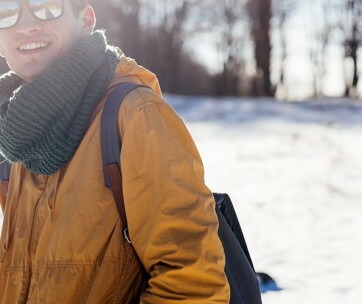 If you’re planning to pack your fleece in your backpack instead of wearing it, you may want to consider buying one that won’t weigh you down too much. Different fleeces are better for different environments. Depending on what you’ll use your fleece jacket for, keep these different options in mind before purchasing. 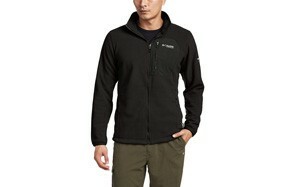 Lightweight Fleece - As the name suggests, lightweight fleece is the lightest kind of fleece jacket. They are thin and easy to carry, and won’t take up a lot of space in your backpack. These fleece jackets are ideal as an additional base layer, as they still provide decent protection from wind and chill, but they perhaps won’t provide the excellent wind resistance on their own. Lightweight fleece is best worn in the spring and summer. You might see it referred to as a microfleece in some places. Mid-Weight Fleece - Fleeces that are in the middle are considered mid-weight fleeces which are great for wearing as outer layers on treks and hikes as long as it’s not too cold. It’s warmer than a lightweight fleece and is more insulated so you won’t need to wear as much underneath to keep warm. These jackets are best worn as an everyday layer and, as long as you’re not climbing steep and hazardous terrain, are excellent for keeping you warm enough on your treks. Heavyweight Fleece - A heavyweight fleece is a thick fleece jacket that’s ideal for wearing under a winter coat to give you that extra protection when high on the mountains or camping in colder locations. They are less flexible than more lightweight fleeces, but they offer the best insulation and are generally considered the top of the range. They are great for winter activities, but not if you are exerting yourself, as you risk overheating. You can also use them as a single over layer sometimes without feeling the chill. A: Fleece is a soft and fluffy polyester fabric that is typically worn by those who love to hike. It’s a very Dad kind of garment, but that shouldn’t put any youngsters off wearing them, as they are massively versatile and incredibly underrated. Fleece is breathable and lightweight and suitable for just about any occasion. Q: Is fleece warmer than wool? A: Wool provides better initial insulation, but this is useless if you get wet, as wool can take hours to dry. Knowing this, you could say that fleece is technically warmer, as it dries quicker and therefore prevents insulating the chill within, therefore keeping you much warmer. Q: What type of fleece should I get? A: The type of fleece you should get will depend on what you need your fleece jacket for. Lightweight jackets are better for general wear and walking in temperate climates, mid-weight jackets are an excellent outer layer for standard, everyday wear, while heavyweight jackets are suitable for cold, chilled climates. Q: Do fleece jackets shrink? A: We have found no evidence of fleece shrinking, even when placed in the dryer (even though this isn’t something we’d recommend). One of the best things about fleece jackets is their durability, and we’re almost certain that there are fleeces jackets hidden deep away in your basement which would still work perfectly if taken out and worn right now. Q: Are fleece jackets waterproof? A: Fleece jackets are not waterproof, so you won’t be protected from rain. However, any decent jacket has moisture wicking properties, which helps keep you dry from the inside and pulls sweat away from the body. Q: How do I care for my fleece jacket? A: The best way to care for your fleece jacket is to keep it away from heat as this can lead to pilling and giving it that weird bumpy feeling which causes the fleece to feel cheap and ineffective. For the best results, turn the jacket inside out when washing it and select a gentle washing cycle. It’s important to remember not to use fabric softener, as this will also cause pilling, and keep the washing temperature as low as possible to prevent damage. When the cycle is complete, line dry your jacket instead of placing it in the tumble dryer, as fleece can be flammable when dry. Don’t let the jacket sit soaking as this can cause bacteria to build up and dry it in a well-ventilated area. There are different types of fleece, though, so if you’re ever unsure about how to wash your jacket, we recommend you follow the label instructions as closely as possible to prevent damaging your jacket.